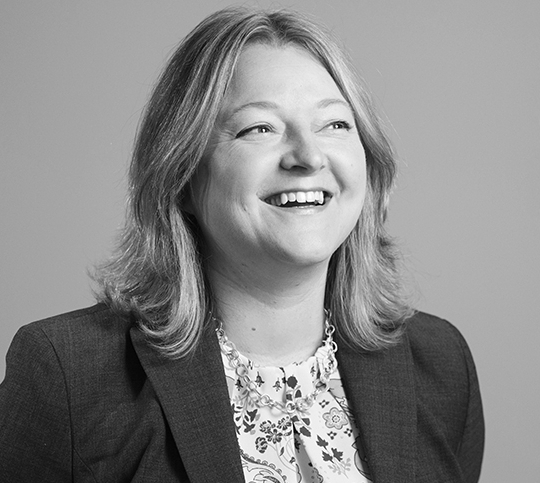 Katie is an award-winning creative consultant with more than 20 years experience in marketing and brand strategy, creative development and project management. She is an idea person - imagining the possibilities, stretching boundaries, building brand, and generating results for her clients. She is author of two children’s books, and is represented by a New York literary agent. She is President of the Board of Directors for the Teen Resource Centre, a member of the Board of Directors for Family Plus, and a member of the Business Community Anti-Poverty Initiative leaders group. Katie grew up in Toronto, went to university in Halifax, and now lives in Quispamsis with her husband and two teenaged sons. Sean began his career in communications eight years ago, during which time he’s had the opportunity to work on a variety of exciting projects throughout New Brunswick including public relations campaigns, media monitoring and media relations, creative campaigns, project management, communications planning, event planning and execution. He spent his first five years in an agency setting, learning the trade and developing his skills by working for a number of clients in various industries. Sean then spent two years in the non-profit sector in a management role, putting his planning and prioritizing abilities to use every day by serving the needs of a number of internal clients. His recent return to agency is a welcome homecoming of sorts, as he enjoys the creative challenges involved with working on accounts that each have their own distinct project requirements. Fairly new to home-ownership, Sean can often be found working away on this or that in his spare time; he is currently building himself a small deck overlooking the new back lawn. With more than 16 years of experience as a graphic designer, Becky continues to pursue her passion every day, while settling for nothing less than pixel perfection. 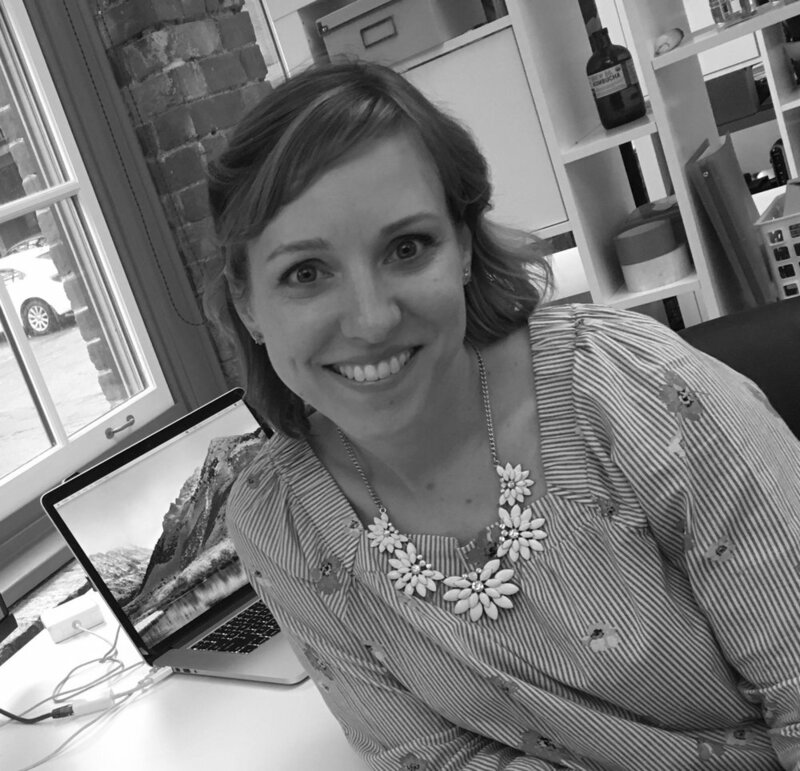 She has confidently produced a vast range of client projects, both in her previous roles and as our principal designer at Duke. Immediately after graduation, Becky worked for an agency, and was then recruited to Ottawa where she joined the marketing team for a Canadian retail chain. After making her way back to the Maritimes, she began freelancing and working in the print industry. Her portfolio includes comprehensive branding packages for service providers, restaurants, events, causes and more; she creates annual reports that beg to be read; her banners and posters display themselves with pride; and, all of her products are designed with the client’s needs at the forefront. In 2011, Becky won a “Saint John Heritage Award” for her Bourbon Quarter/Magnolia cafe signage designs. When she’s not in front of her mac, you’ll likely find her seeking out the city’s best coffee, digging in the garden, or binging on Netflix. After graduation, Jill treated herself to a month in Europe where she explored Paris and Madrid, absorbing the culture and history, and expanding her perspective through the experience of international living. In her role at Duke, Jill has enthusiastically taken charge of several client accounts, providing regular project estimates, social media planning and updating, collateral development plan management, website development, app creation, and a number of other services for our accounts. Her organization, prioritization, and sense of humour have been excellent additions to the office. When not at work, Jill enjoys spending time during the summer at the cottage on the St. John River; and, in the winter she assures us she’ll eventually get back to the slopes. Christianne has been translating in Saint John and area since 1991. In that time, she has worked on a wide variety of subjects, translating from French to English and from English to French. She provides well-researched, terminologically consistent translation services for a wide variety of clients operating in business settings ranging from retail to high tech. She also provides creative linguistic adaptation, helping some clients develop campaign materials that resonate with French-speaking audiences by translating idea by idea instead of word for word. Christianne also offers bilingual meeting facilitation and emcee services, as well as on-mic audio recordings.